Sun Joe Chipper Joe 14 AMP Electric Wood Chipper/Shredder handles sticks and branches up to 1.5" thick 6" Wheels Compact Design Safety hooper locking knob prevents the motor from operating when opened Weight: 26.23 pounds ETL approved. This item cannot be shipped to APO/FPO addresses. Please accept our apologies. 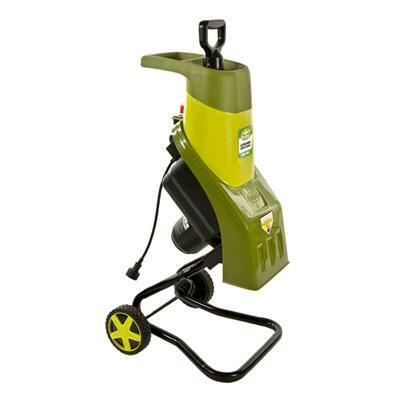 15 Amp Chipper / Shredder 10:1 Mulch Ration 1 1/2" Max Cutting Diameter Easy to Change 2-Sided Blade Push Stick Included 8" Wheels For Easy Mobility Overload Motor Protection This item cannot be shipped to APO/FPO addresses. Please accept our apologies. Chop enough wood for the winter in single weekend with the Sportsman Series Gas Powered Kinetic Log Splitter. Harnessing the power of kinetic energy, the Sportsman Log Splitter cycles up to 19 times faster than hydraulic machines, so you can cut more wood in less time. With a super fast cycle time of just 2 seconds, it is possible to cut a full cord of wood in under an hour. 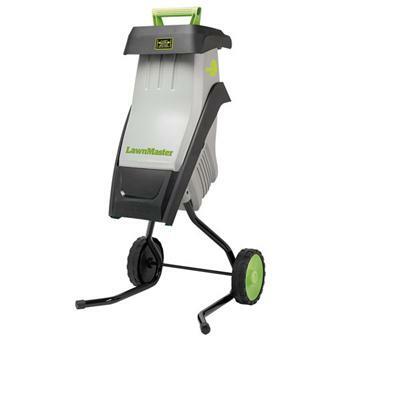 In addition to saving time, the Kinetic Log Splitter will also save you money. 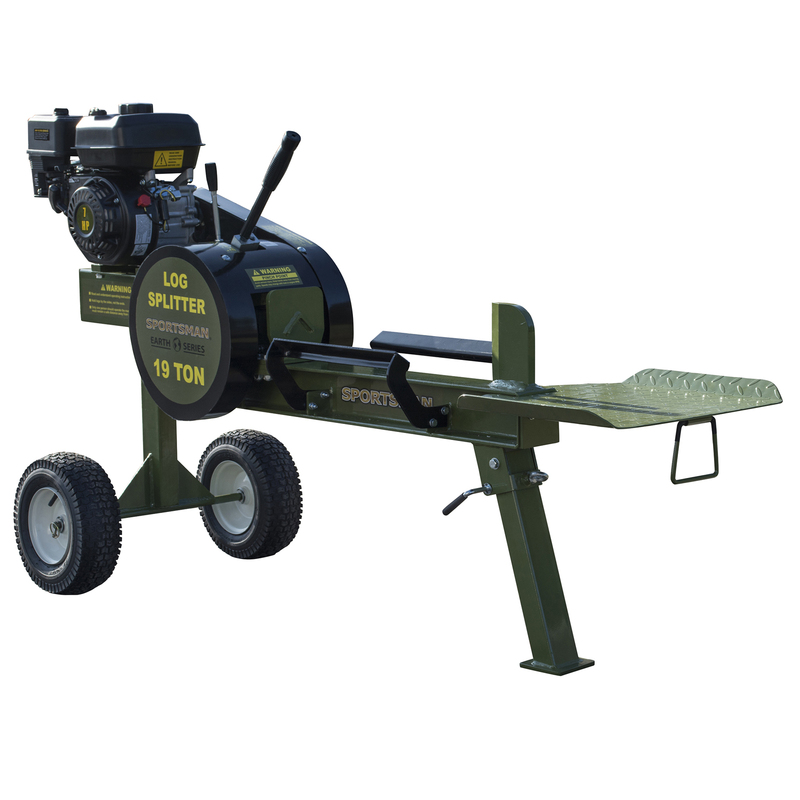 By utilizing the momentum of the 35 pound flywheel and a 7 inch steel splitting wedge, the Log Splitter generates the equivalent power of a 19 ton hydraulic unit, burning less fuel, and without the maintenance and hassle of hydraulic lines. Quickly turn your yard debris into nutrient-rich garden mulch and do your part to reduce reuse and recycle with the Sun Joe electric chipper/shredder. Powered by a robust 15-amp motor the CJ602E electric wood chipper and shredder generates speeds of up to 4 300 revolutions per minute making quick work out of the brush leaves and branches overcrowding your lawn. Designed for light-duty jobs this wood chipper effectively chips and shreds wooden sticks and limbs up to 1.5-inches thick reducing your yard waste up to 1/17th its original size. The minimized wood chips resulting from Sun Joe's efforts are perfect for use as garden mulch around your trees and flower beds. 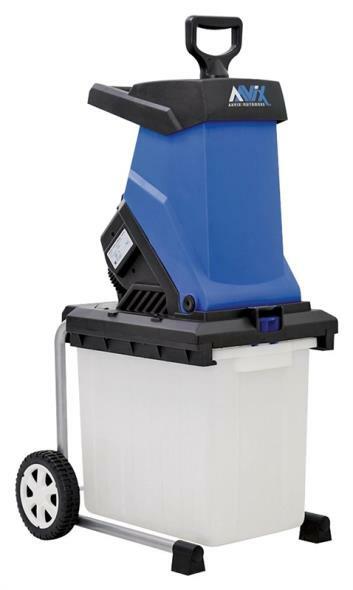 Easy to assemble and virtually maintenance free the Sun Joe electric chipper and shredder is ready to go when you are. Just plug it in and instantly start chipping! Unlike gas-powered tools the electric-powered Sun Joe means you don?t have to deal with smoke fumes unpredictable starters and costly tune-ups. The CJ602E also features a safe This item cannot be shipped to APO/FPO addresses. Please accept our apologies.